The buzzing metropolitan city of Tokyo has consists of 13.35 million people and is ranked as one the top tourist cities to visit in the world. Besides being clean and having superb public transportation, it is also home to some of the world's best sushi bars. The Ginza neighborhood is known as a posh area and where most of the world class sushi restaurants reside. One of the most famous places is Sukiyabashi Jiro ran by Jiro Ono. The documentary, Jiro dreams of Sushi provides an interesting insight into the craft and love that Jiro puts into each piece of sushi. This is a 3 star Michelin restaurant and reservations will need to be made by your hotel. Sushi Yoshitake is another 3 star Michelin restaurant ran by Chef Yoshitake. This has a cozy and intimate atmosphere with only 7 seats available. 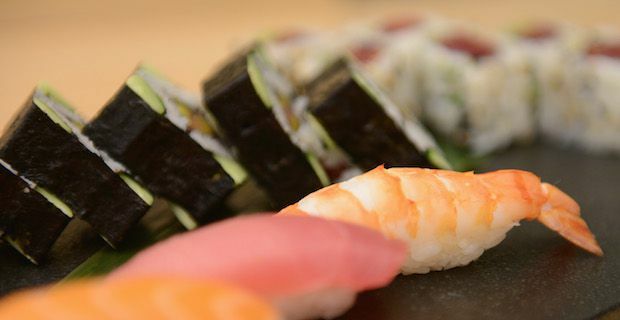 Each piece of sushi offers a unique taste and experience that will leave you wanting more. While it may not be as well known as the previous two, Sawada is a 2 star Michelin restaurant that is ran by Sawada and his wife. It is another intimate setting with only 6 seats which also makes it very difficult to make reservations. During your visit, they patiently explain where your sushi came from, how it was prepared and how to properly eat it. This is a culinary experience unlike any other. One three star Michelin restaurant outside of Ginza is Sushi Saito located in Minato, Tokyo. This is located near the American Embassy and only uses top quality fish served at the perfect temperature with amazing textures and flavours. Chef Takashi Saito welcomes you into his small and elegant space serving you only the best. Unlike most sushi bars you can even order champagne or wine.